The combat aircraft crashed durign the landing. The pilot ejected safely. December 18, 2017 - A Polish Air Force MiG-29 fighter jet assigned to the 1st Air Tactical Squadron crashed today while it was landing at the 23rd Air Base, 6 kms east of Mińsk Mazowiecki city. The pilot managed to eject and he is safe. The military immediately started a rescue operation and the pilot was sent to the hospital. The mishap took place in the afternoon, approx. 5.15 pm, when the communication between the aircraft and the control tower was lost during the landing procedure, according to the Polish Ministry of National Defense. The russian-built combat aircraft was back from a routine mission. The cause of the crash is unknown at the moment. 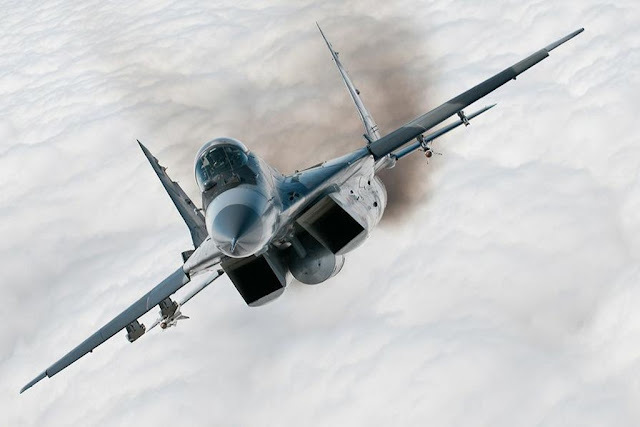 Col. Piotr Iwaszko, commander of the 23rd Air Base, said that all 15 MiG-29 jets are temporarily grounded. All comments related to the contents of our articles are welcome. It is not allowed to post promotional messages, links to external sites, or references to activities not related to this blog.